Here are some helpful resources if you're looking for some more information, whether you're interested in recipes, health, or scholarly resources centering on animal oppression, racial oppression, and social justice. We have some different websites that you can check out, in addition to books, films, and articles. We will be adding to this page each time we learn of a new resource. If you have any suggestions for resources, send an email to info [at] blackvegansrock.com. (Some of these resources are from non-black people and tackle subjects that relate to food justice, racial justice, and different articulations of "the human." and "the animal."). Letters to a New Vegan. Julia Feliz Brueck. Libby Finds Vegan Sanctuary. Kawani AJ Brown. Where Does Dinner Come From? 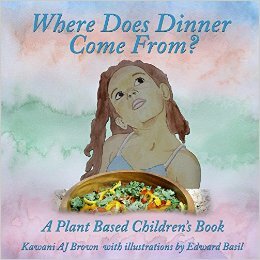 : A Plant Based Children's Book. Ruby Roth. Vegan is Love: Having Heart and Taking Action. Ama T. Opare. Food For The Soul From Ama's Kitchen: Soulful Vegan and Raw Vegan Recipes. Bryant Terry. Afro-Vegan: Farm-Fresh African, Caribbean, and Southern Flavors Remixed. Bryant Terry. Vegan Soul Kitchen. Koya Webb. Koya's Kuisine: Foods You Love That Love You Back. Amie Breeze Harper, Ph.D. Sistah Vegan: Black Female Vegans Speak on Food, Identity, Health, and Society. Lisa A. Kemmerer. Sister Species: Women, Animals, and Social Justice. Aph Ko and Syl Ko. Aphro-ism: Essays on Pop Culture, Feminism, and Black Veganism from Two Sisters. Sunaura Taylor. Beasts of Burden: Animal and Disability Liberation. Carol J. Adams. The Sexual Politics of Meat. Brandi Y. Rollins. Raw Foods on a Budget: The Ultimate Program and Workbook to Enjoying a Budget-loving, Plant-based Lifestyle. Latham Thomas. Mama Glow: A Hip Guide to Your Fabulous Abundant Pregnancy. Kirt Tyson, N.M.D. The Raw Truth: The Recipe For Reversing Diabetes. Tracye McQuirter. By Any Greens Necessary. (The scholarly book titles are italicized. Also, the author's last name is placed first). Che Gossett. Blackness, Animality, and the Unsovereign. Verso Books. September 2015. Jackson, Zakiyyah. Animal: New Directions in the Theorization of Race and Posthumanism. Kim, Claire Jean. Dangerous Crossings: Race, Species, and Nature in a Multicultural Age. Kim, Claire Jean. Murder and Mattering in Harambe's House. Politics and Animals. p. 37-51. March 2017. McKittrick, Katherine. Sylvia Wynter: On Being Human as Praxis. Mignolo, Walter. Who Speaks for the Human in Human Rights? Patterson, Orlando. Slavery and Social Death: A Comparative Study. Roberts, Mark S. The Mark of the Beast: Animality and Human Oppression. Washington, Harriet. Medical Apartheid: The Dark History of Medical Experimentation on Black Americans from Colonial Times to the Present. Weheliye, Alexander G. Habeas Viscus: Racializing Assemblages, Biopolitics, and Black Feminist Theories of the Human. Tracye McQuirter, MPH, released an African American Vegan Starter Guide. 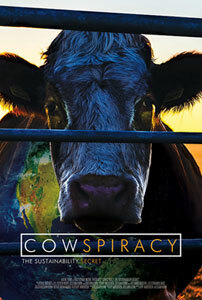 Download your FREE copy at africanamericanveganstarterguide.com. EVOLVE! Campaigns' friend and patron Benjamin Zephaniah explains why veganism is the ultimate protest against animal exploitation.